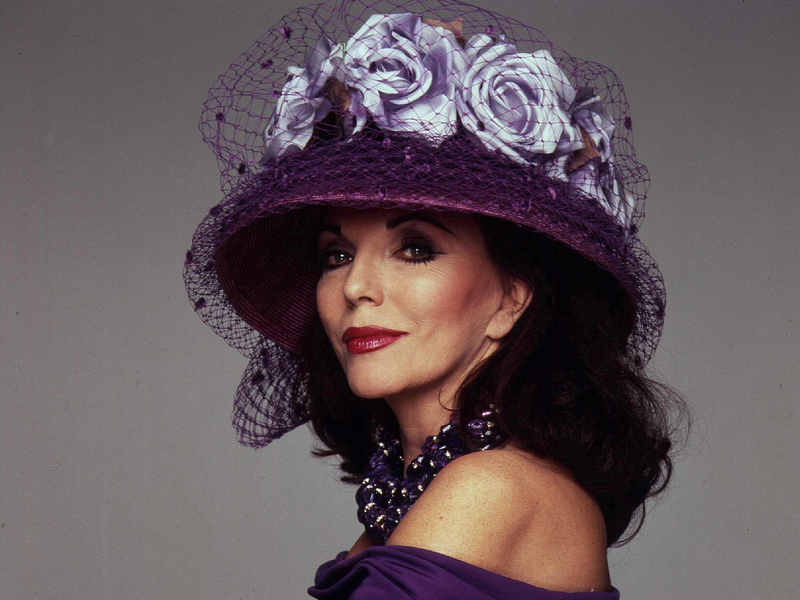 Joan Collins is one of those living legends in the entertainment world. She is 80, has had a very long career in Hollywood and is still talked about and looked up to by many women today. The British beauty, sister of celebrated novelist Jackie Collins, who also starred as Alexis Carrington Colby in cult TV hit Dynasty in the 1980s (which at the time made her the highest paid woman on television! ), spoke to Fiona Sturges from the Independent on Sunday about her career, her 5 marriages, her new wig business, politics and feminism. You would expect a woman who has seen many decades of beauty and diet trends come and go, she would be victims to all of them, but apparently not. She tells Sturges that she is not a fan of plastic surgery. She’s never had surgery as she’s too phobic to go under the knife but she did once have Botox. “Never again,” she says. Instead her beauty regime depends on healthy eating habits, and what she describes as good genes. Now there’s a bit of a shocker! If an 80 year old woman can look just as stunning as she did when she was 20 without relying on cosmetic procedures, then perhaps we can all take a leaf out of her book. Joan’s notion of feminism is one that is closely echoed by the young feminists of today: that it shouldn’t be limited to one narrow definition. Don’t mistake pretty jewels and dresses for a weak little girl, this is one strong woman who isn’t afraid to speak her mind and has always been like that. Being a woman who no doubt has had her fair share of pressure from the industry, she can sympathize with young women today, and acknowledges that in some ways it is even harder for us! Instead she thinks we should be focusing more on the opportunities the world in 2013 offers women. When asked where she developed her strong mentality from, Joan says it was her father, who was a theater agent. Keep in mind Joan was born in 1933, in an era where women were only allowed to perform certain roles within society and families. But the rebellious streak started with her dad who instilled in her as a young girl: “Don’t ever ask or depend on anyone for anything.” He also warned: “You better make all the money you can when you’re young because by the time you’re 23, you’ll be all washed up.” Thankfully, she was able to prove him wrong on the “washed-up” bit, and still is, mind you. And as for politics and popstars, you’d better believe she is on the ball with it all and has her own opinions. She was a staunch Margaret Thatcher supporter and attended her funeral, and has gotten in trouble many times in the past for voicing her opinions, not that it seems to have bothered her much. Joan also happened to mention, while she doesn’t believe in voicing negative opinions about fellow performers and entertainers, she couldn’t hold back on the whole Miley Cyrus issue. She did this via twitter. Yes, Joan Collins has a twitter account! Sometimes its nice to see what the older generation think of the younger, and get some life advice from those who have already walked the path. We shouldn’t be conforming to the unrealistic beauty standards that exist in our world, and we shouldn’t be afraid to go after our dreams. We love that feminism is being re-defined in so many ways and it is allowing us to become less afraid of a word, and more excited to know that we should have the confidence to choose a life which we know is best for us. 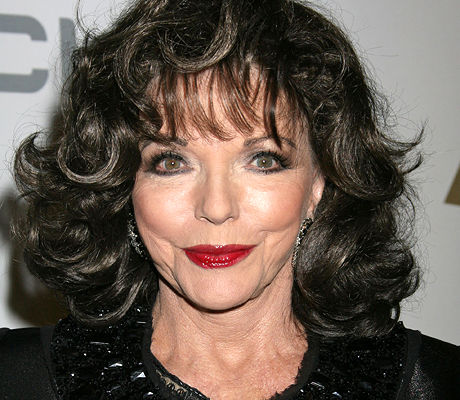 If it has worked for Joan Collins for 80 years, she must be doing something right! Yes, she is doing something right.